The last 50 years has seen a seismic bouleversement, or reversal, against the traditional norms and values that have upheld Judeo-Christian culture for well over a millennia or more. This appears to be particularly prevalent in the Western sphere where economic progress, social liberalism, relativism and a desire to be comfortable have seemingly become more important than the value of a human person. The 18th century might seem like ancient history to most, but Western society is still reaping what it sowed in the Romantic philosophies that provided a redundancy package for God and a sizeable promotion for humanity. For example, “humanity” was, according to philosopher Jean Jaques Rousseau, essentially “good” but for the chains that hindered them. According to the prevailing belief of the era, humanity had a value that was founded upon itself. This is a train of thought still present today. It could be considered a fait accompli that two very different philosophical answers to the dignity of humanity were to arise from such an experience; and that these remain today. One answer was that humanity needed to collectively rise up against those in power to bring about structural change. The other was that, in the face of such adversity, individualism and self-determination could provide humanity with the dignity and reverence that it was lacking. Yet, having found little reward in many of the revolutions subsequent to these philosophies, many modern Existentialists and Nihilists concluded that life is “nausea”. Everything means nothing, life has no purpose or underlying dignity and is, simply, of very little value. Either way, the Church has always maintained that a culture of life could hardly be founded in a philosophy of resentment, envy or selfishness. Today, this milieu of ideas, or philosophical soup are best reflected in what has been handed down through the post-war experiences of the second half of the 20th century. Undoubtedly, these philosophies and experiences have had a direct impact on what society thinks about the value of life today. Around 50 years ago, the post-war generation wholly embraced the Summer of Love, Woodstock and many threads of the 18th century philosophy regarding self- determination and fulfillment. It would seem like a logical answer to the death of many people during both the “great” wars; spurred on by imperial (structural) alliances and ideological (doctrinal) foundations. Unsurprisingly, the movements of the 1960s proclaimed the rejection of both structural authority and doctrinal truths. Many youths, born of post-war parents, embraced their own personal philosophies, determined by themselves rather than authoritative figures. Often under the influence. Protests raged against the ideological battle being waged by the USSR and the United States in Vietnam while “free love” without consequences was high on the menu. Notwithstanding the irony of an individualistic and anti-authoritarian philosophy being unquestionably followed by a sizeable mass of youth, it is entirely arguable that the Church foresaw these events as somewhat of a low point in the value and dignity of human life. For example, many millions of lives have been lost because of the “free love” movement and its ramifications. The alarming, yet opaque, statistics in Australia show that a child is more likely to die from an abortion than any one of the major diseases combined. In a somewhat prophetical book, Auxiliary Bishop of Krakow and later Pope John Paul II, Karol Wojtyla published his book Love and Responsibility in 1960, which focused on the supremacy of taking responsibility for one’s actions in a loving relationship. He argued that a person was completely free to love but, with love, came responsibility such as children and a deep commitment to care. Love did not come at the price of another person or their dignity. It was unheard of for a bishop to write a publication focusing on issues ranging from the sexual urge, marriage and sexology. 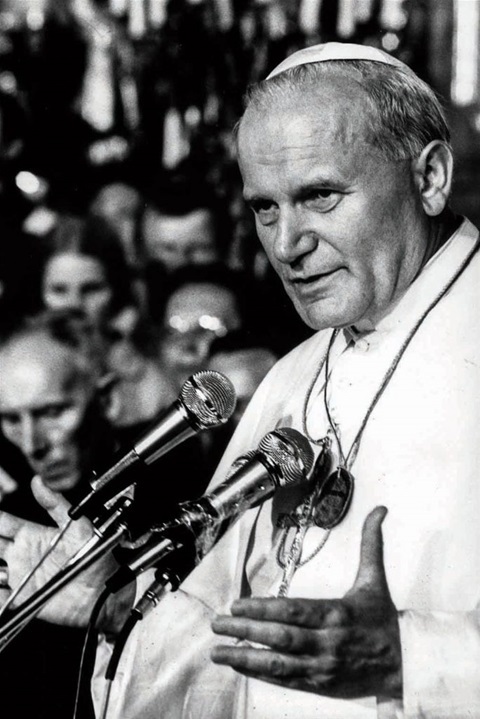 Yet Wojtyla was unequivocally clear in expressing the total dedication, devotion and selflessness one places at the central of a Christian union. His image of God, manifested in Christ’s love for humanity on the cross, was central to any relationship. His writing cemented a modern application of the divinity and dignity of human life inside loving relationships for the modern era. All life had a value and a potency, an echo repeated in 1995 at the World Youth Day in Denver, Colorado when he called for an answer to the “culture of death” pervading society. With specific reference to contentious issues such as abortion and euthanasia, he stated: “The so-called ‘quality of life’ is interpreted primarily or exclusively as economic efficiency, inordinate consumerism, physical beauty and pleasure, to the neglect of the more profound dimensions-interpersonal, spiritual and religious-of existence”. It’s an interesting argument that reveals a confused and material global anthropology. Over the past 200 years, academics and philosophers have taught society to revolt against becoming enslaved as economic units. Yet, today’s “culture of death” demands that if you cannot be an economic unit (contributor) or consumer, you are not considered to possess a quality of life. In other words, you cannot be a burden; with the most vulnerable at the greatest risk. These so-called liberating, yet contradictory, philosophies will return again as they have done so in the past; possibly with even more deaths and greater callousness for personal dignity in the future. The Church’s teaching on the dignity of life proposes a more profound and radical answer in the Catholic Catechism: “Respect for human persons entails respect for the rights that flow from his dignity as a creature. These rights are prior to society and must be recognised by it. They are the basis of the moral legitimacy of every authority; by flouting them, or refusing to recognise them in its positive legislation, a society undermines its own moral legitimacy”. A legitimacy already under question.